This broken base of a fluted preform was recovered from the lower Clovis horizon at Kimmswick. It was broken when a large end thinning flake was struck from the base and hinged downward. 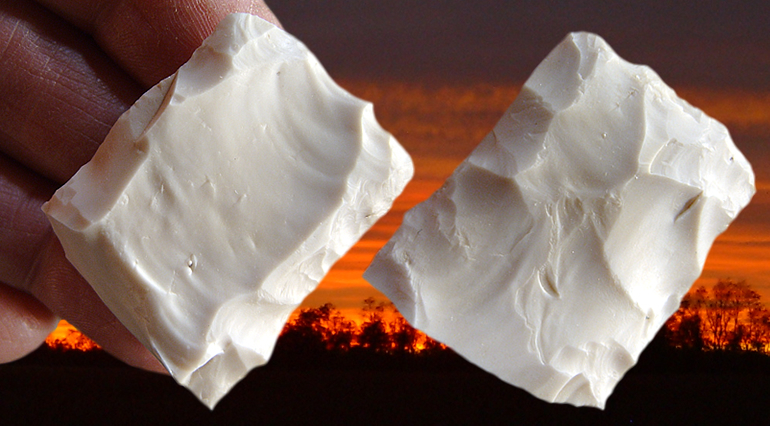 This broken preform represents one of the common types of break patterns found on Clovis sites. This preform was made from a piece of white Burlington (Crescent Quarry) chert and it measures 1 9/16 inches long. 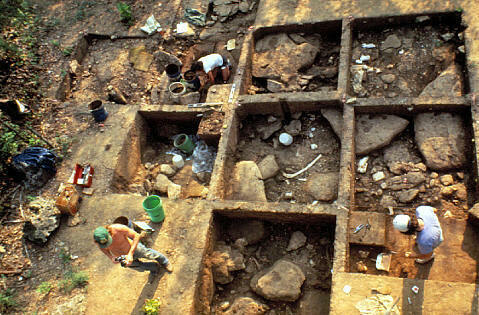 This Clovis site, once referred to as just "Kimmswick", has had a long history of excavation. Beginning in 1839 Dr. Albert Koch unearthed skeletal remains which were later identified as Mammut americanum and later sold to the British Museum of Natural History in 1844 where they are still on display. In 1897 C.W. Beehler rediscovered the site with new excavations and later built a small on site museum in 1900, which housed hundreds of bones. Several excavations followed Beehler but the most extensive were those of Robert McCormick Adams in the 1940’s who left the most complete record of the site. Personal communications with Russ Graham.